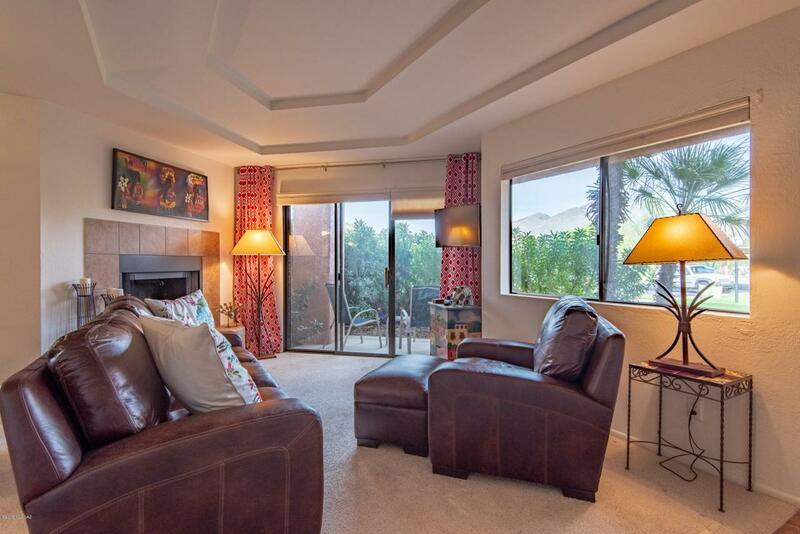 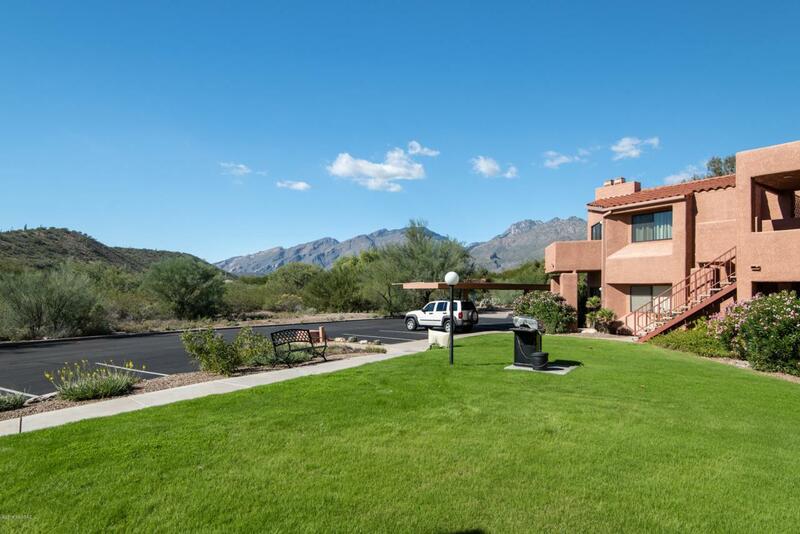 Private ground floor condo with mountain views at the very back of the gated Ventana Vista Condos (one of the best locations in the community). 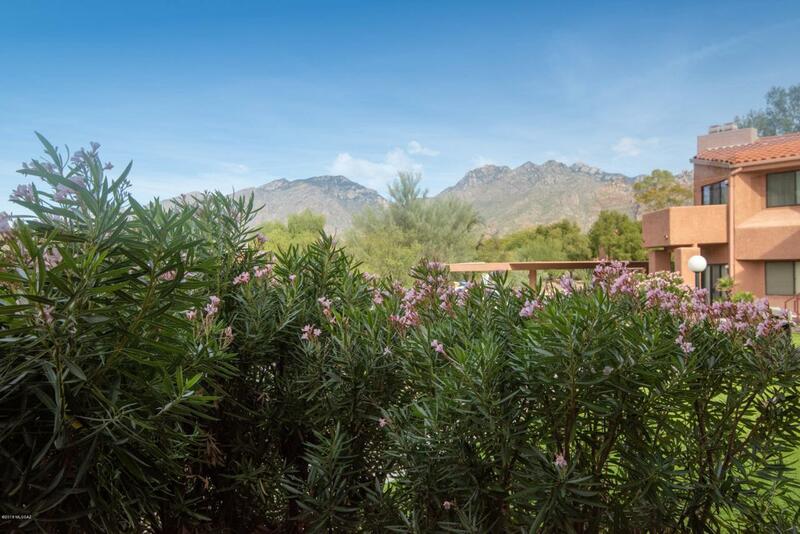 This secluded Catalina Foothills property is highlighted by a covered patio surrounded by lush oleanders and overlooking grassy park-like grounds and natural desert landscaping and featuring an open floor plan, romantic wood burning fireplace, kitchen with white appliances & corian counters, master suite with spacious walk-in closet and bathroom with dual sinks, laundry room (not just a closet) with washer/dryer and resort style HOA amenities. 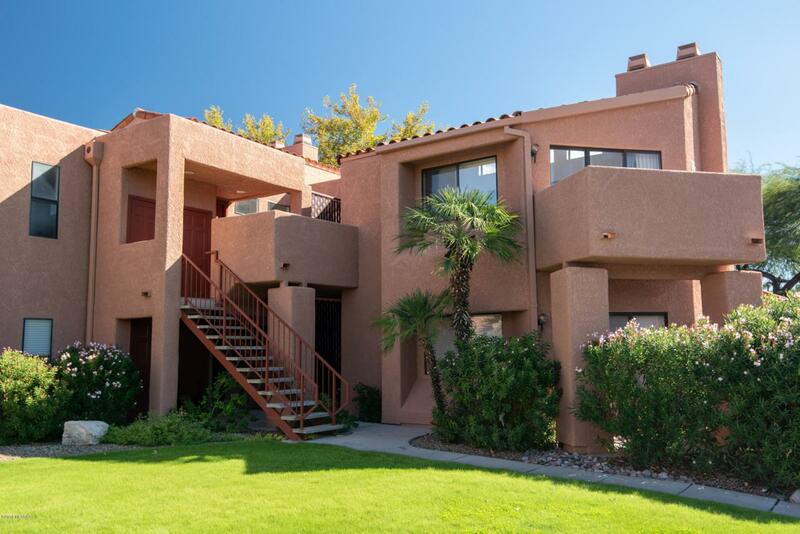 The Ventana Vista Condos include a heated pool & 2 spas, exercise facility, enormous clubhouse, tennis / pickle ball court, bbq areas, gym and conveniently located near shopping & numerous restaurants.